Durham Women FC are delighted to announce that we have been awarded an FA WSL Sister Club Programme. The FA WSL Sister Club Programme is an FA-backed initiative which gives local grassroots clubs the opportunity to become affiliated with an FA WSL side. Junior clubs are able to reap a number of benefits from this partnership, which gives them unique participation opportunities as well the opportunity to watch FA WSL games for free. 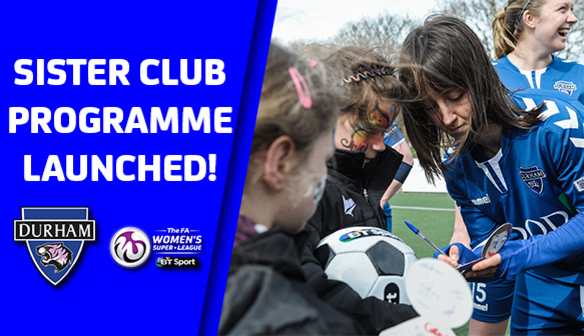 And now, after submitting a strong application, Durham Women FC have been awarded one of only 14 of these programmes meaning that we are now on the hunt for clubs to partner up with us ahead of the 2017/18 season! In return, Sister Clubs are expected to utilise all their season tickets and ensure that their players, their parents and coaches attend our FA WSL home games to meet pre-set attendance targets. The targets are very achievable, but if they are not met then benefits may be withdrawn. 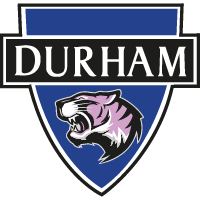 You can find out more about the Durham Women FC Sister Club Programme by downloading our Information Booklet HERE. Our programme will run differently to others in the league, as we will offer it to clubs FREE OF CHARGE. This represents a great deal for clubs as all you have to do is attend our games to ensure you receive the benefits! We now want to hear from any interested clubs, and be quick - there’s limited spaces available! We will be holding an Information Evening regarding the Sister Club Programme in the upcoming weeks. Any interested clubs are asked to email our Programme Officer, Mark Donnelly, on mark.donnelly@durhamwfc.co.uk to register an interest or to ask any further questions. Speaking after being awarded the programme, Donnelly said: “This is fantastic news, both for the club and for local grassroots clubs in the North East. “We’ve tailored this programme to ensure that it benefits clubs in our area, and a big part of that is ensuring that we don’t charge teams to be a part of this. “We feel that we have put together a fantastic package for clubs and we’ve had some positive conversations with local teams already. If you have any questions or queries regarding the programme, or if your club is interested, please email us on mark.donnelly@durhamwfc.co.uk.